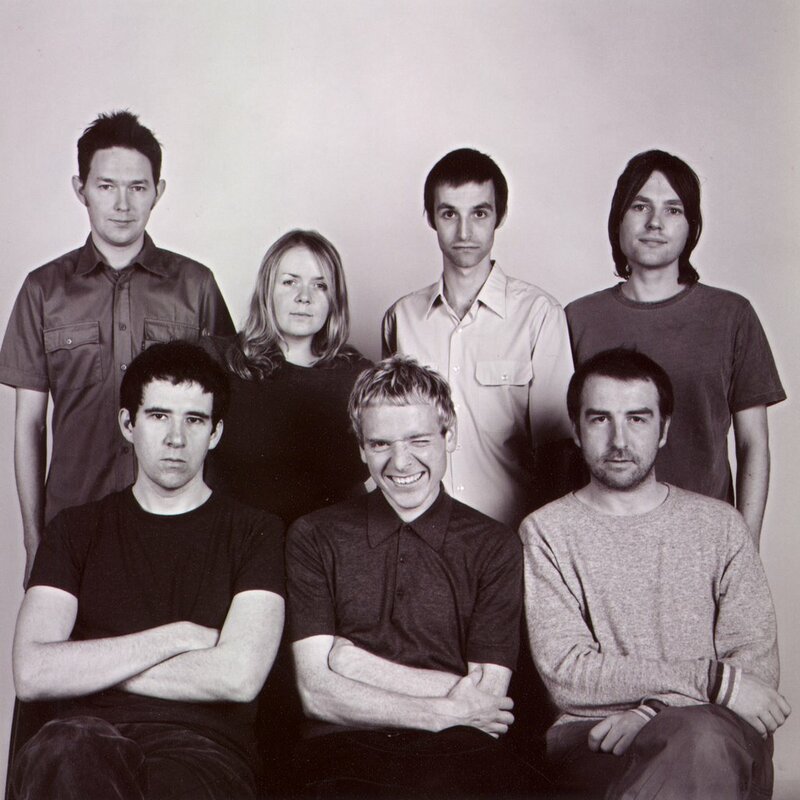 I never go for very long without listening to Belle and Sebastian, but the other day, Serah was asking what what cd or artist we haven't listened to recently that we really should, and I realized that it has been far too long since I listened to my absolutely favourite Belle & Sebastian album, If You're Feeling Sinister. Thanks for the reminder, Serah. I remedied that today and feel much better now. teeheee! I posted mine. Those thingies are cool. Remember the Mark Ryden one I found months ago? Meeeeeaaaaaaaaat! Oh yeah, that was when I first started visiting your blog, Mel, and I was quite confused by the meat thing, but intrigued. LOL, what a fun little test!! However it says I spend a lot on clothes, and its hard for me to throw away trendy clothes. Not so much. "You are a very considerate person, but that doesn't mean you let people walk all over you. You have the perfect blend of confidence and class. You're proud of who you are - but you don't broadcast itIn relationships, you tend to be very romantic and demanding. You'll treat your partner like gold, but you expect a lot in return." Its funny you post this today, I had a conversation last night about do you look inside medicine cabinets when you're at other peoples houses. I think that says a lot about you there. I don't at friends, but at families houses I do! That album was one of my soundtracks this summer, ah good memories. I'm with you exactly on the medicine cabinet peeking - never at a friend's, often at family's. What a great soundtrack for your summer. I love B&S and I've probably never told you that either, hahaha. "You are very independent and self-centered. You don't solve other people's problems - and you don't expect them to solve yours. Your idea of fashion is jeans and a t-shirt. Clean, if you're lucky. You are a little shy and easily embarrassed. You often wonder if you are normal. In relationships, you tend to be very romantic and demanding. You'll treat your partner like gold, but you expect a lot in return." ...those bastards!! Who do they think they are, calling me demanding?? I'm of right mind to punch them right in the....yeah okay, I'm demanding. LOL, and to think they got all that from me saying I always choose the stall furthest from the entrance. Well, I got your CD in the mail yesterday, and it's awesome, thank you! I'll get some pics of it and the (super adorable!) card and post about it on the weekend. There's some really good tunes on there! :) Thanks again! Back to the tattoo story. I got it wrong, it was the son who had his Dad's back peeled. I've forgotten how to add a link but here's the story. Beware. There are pictures ! That didn't work very well. "You are a very considerate person, but that doesn't mean you let people walk all over you. In relationships, you tend to be very romantic and demanding. You'll treat your partner like gold, but you expect a lot in return"
Hate to say it but I'm not sure I'm very romantic. Otherwise pretty bloody accurate! Yay, I'm glad you got the cd, Alana. Sorry about the Weakerthans on there, but how could one NOT have that song on that type of cd? The furthest stall, eh? No wonder you are so demanding! Thanks for that link, Ben. That's quite an amazing story, firstly that he even found a taxidermist who agreed to do it, secondly that it didn't contravene some Australian law, and finally that the tattoo was actually quite small. I rather expected some massive back-sized thing. Mine was surprisingly accurate, as well, Kees, and it even got it right that I am not romantic. I seem to be the only one that got that result. I wonder if it was the marble shower answer that did it. Yay! I'm so glad to hear that, Mel! Eva and I listened to the Punk Christmas cd in the car this morning and were just howling! And she was quite pleased when I said we would have to make it our new traditional cd to listen to on our tree decorating/nuts & bolts making day. *L* that's great! I'm happy to hear that she loves it too and it will be part of a tradition *G* Wow. I just went to Shoppers Drug Mart and was bombarded by Xmas stuff!!! Maybe I should listen to the Punk Xmas CD too :) Thanks again so very much for the Victory CD, I am loving it!! The first song is my favorite! Christmas is sneaking insidiously upon us, Mel - see? I just mentioned it. grrr. All You Fascists is one of the Woody Guthrie songs which Billy Bragg and Wilco set to music. It's pretty awesome, innit? I had forgotten about it for quite a while, Jas, but it always has some fun things on it. It has been a long time since I listened to B&S. Must do that. I think my all-time favorite B&S song is "We Rule the School." How about you Barbara? And, I wonder what my bathroom habits say about me. Will, I would have a really hard time picking just one B&S song. My first one that I fell in love with was If She Wants Me, but now, hmm, it's probably a toss between Stars of Track and Field, I Fought in a War, Dog on Wheels, and The State I'm In. Do the quiz, Will, enquiring minds want to know what your bathroom habits say about you. You're welcome. I need a reminder myself (all the time). I was listening to the Victory CD with Ella the other day. Boy do I wish I had a webcam! She made me dance all over the house with her to the Pogues. You would have loved it. Thank you again for the cd i have really been enjoying it. I'm so glad you and Ella are enjoying it, Serah! I wish I could have seen the dancing !